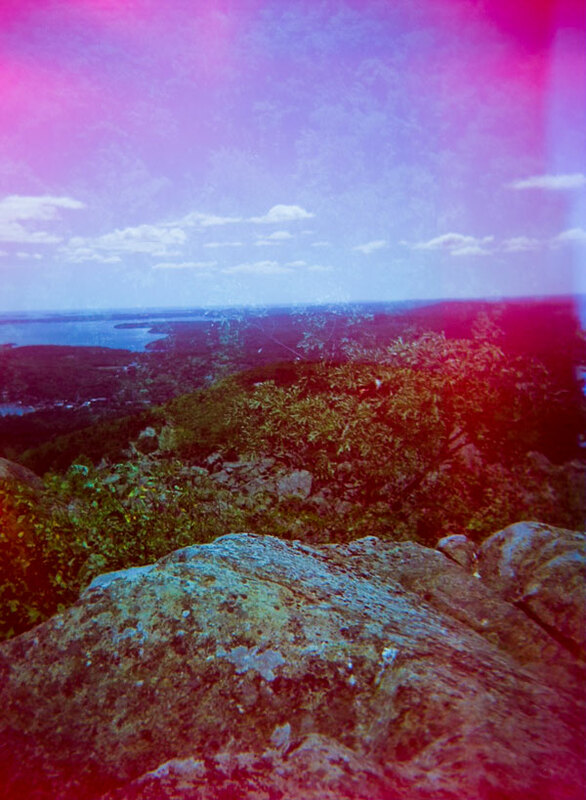 Mount Battie 1910, 1952, 2010. It’s uncanny. Were P and I the type to send Christmas cards, I would have appropriated this 1952 National Geographic image of a couple who could well be our doppelgangers. 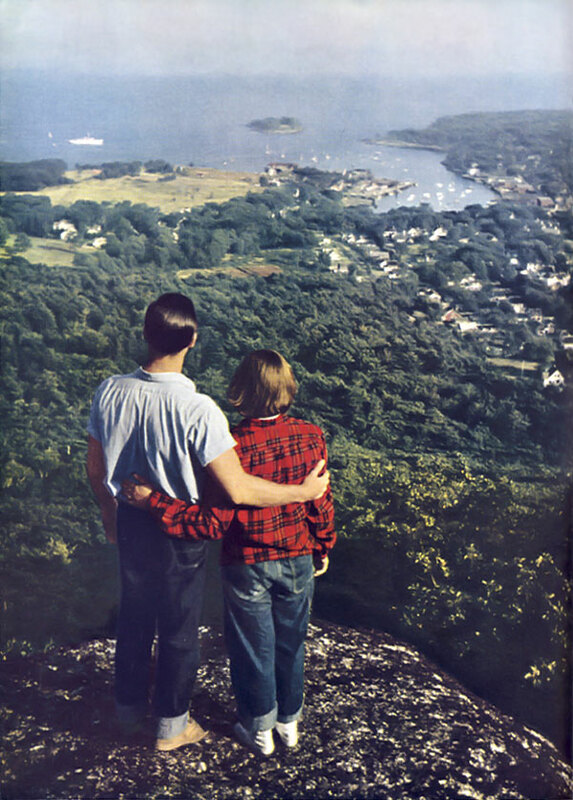 We took the same hike up Mount Battie in August and found the view of Camden Harbor unchanged. A greater revelation: the same scenery inspired poet Edna St. Vincent Millay to begin her instantly classic poem Renascence a century before our visit. She details the landscape in front of her, her body’s breathless awe in the face of it, and her empathetic observation opens her so wide she goes through a virtual death and rebirth over the course of the poem. What strikes me like a bolt from the blue is the incredible literalism of this introduction. What Edna saw is what National Geographic saw is what I saw is what she wrote. It is the poem’s flight from utterly concrete to cosmic meditation that makes it so effective. The injunction to write what you know is a truism. It’s a philosophical infinite loop—I wonder whether I really know anything at all. By contrast, Renascence’s first stanza demonstrates a strategy: write what’s right in front of you. Write in front of you. Same idea, different words? Could be. Could be enough. You’re officially my new favorite blog. Beautiful post.